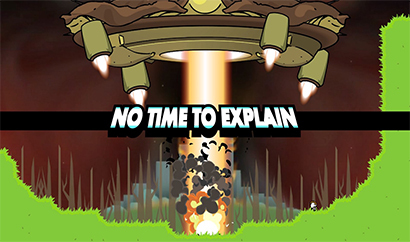 Developed by tinyBuild, No Time To Explain is an indie platformer video game, available for the Windows, Mac OS X, Linux, Xbox One, and PlayStation 4 operating systems. The game starts in chaos and only gets crazier from there. Players meet their future self after he bursts in and shouts "There's no time to explain!" He wields a giant laser gun. Immediately after, he is scooped up by a crab claw and dragged away screaming. Pick up the weapon and give chase in this hilarious, remastered classic from tinyBuild. 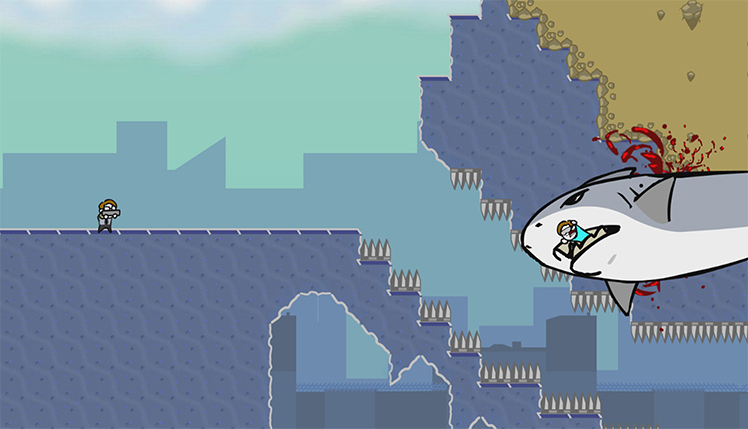 Players zoom through a variety of different worlds, each new level a bit crazier than the last. Embark on an epic journey through space and time, trying to find out why players met their future selves. 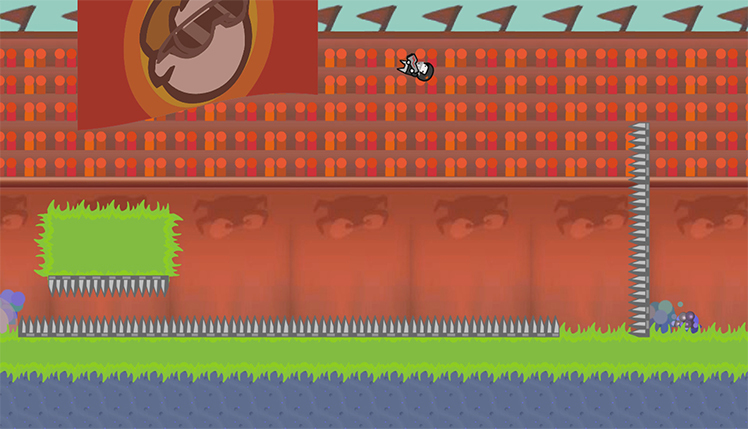 Players are equipped with the giant laser and find different ways to traverse the dramatic landscapes in this fast-paced platformer. The main character has lots of questions after meeting himself. Traverse different realities and timelines with the help of the handy laser dropped by his future self. Not only is this laser a weapon, but players use it for transportation as well. Ricochet off walls or leap over giant holes, chasing after the future self in search of answers. Experience different universes while playing as lots of wacky versions of the main character's original self. Each one has a unique weapon that adds to the gameplay. Additionally, they all become available after reaching certain points through the story. Special characters aren't the only things players collect. There are 60 wearable hats hidden throughout the levels. 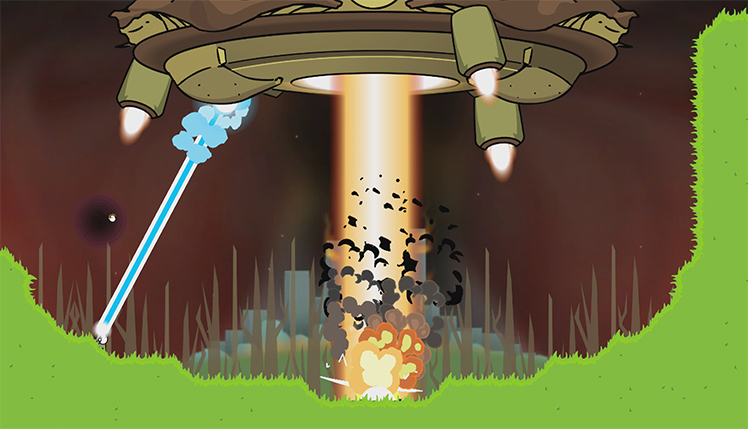 Players test their jetpack skills and show off with that hard to find headwear. Expect lots of laughs in this epic comedic tale, and the hats are no exception. Rock a simple red backward baseball cap or discover something with a funnier tone such as a top hat and monocle. There's even a dinosaur head waiting somewhere secret! This makes it especially easy for players to tell themselves apart in the local co-operative mode that is also available. 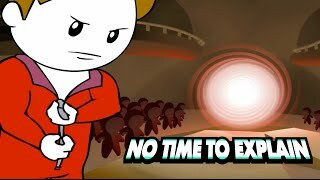 No Time to Explain is a comedic gem full of hilarious, over-the-top gameplay as well as a fun story. Play alone in single player or with a friend in the couch co-op mode. Discover what the main character's future self was trying to tell him. 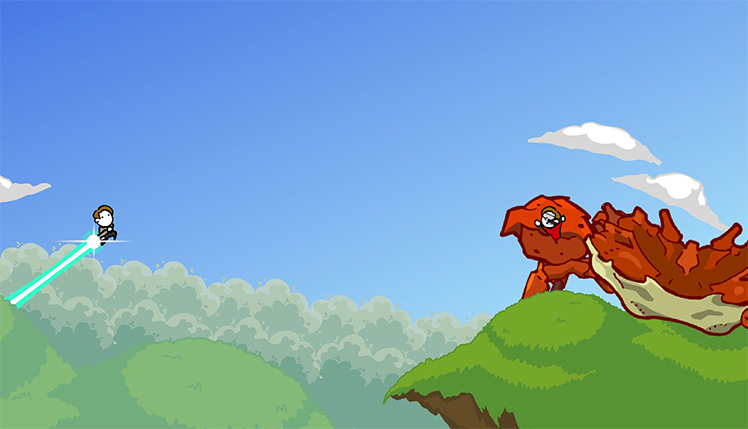 Fight giant monsters like sharks, alien crabs, and even an evil twin. Solve puzzles and discover hidden hats by eating cake or propelling around with a laser jetpack. 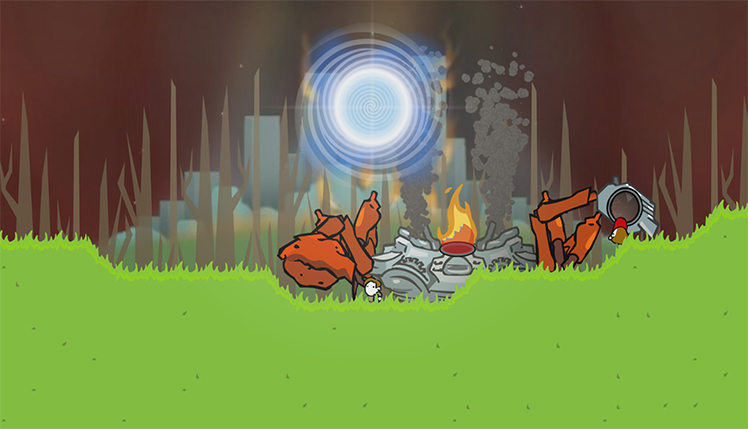 Blast enemies away with the laser gun. Experience gut-wrenching laughter in this tale that takes the main character through wild time and space in hopes of conquering the ultimate evil: himself! In No Time to Explain, a run-in with your future self leads you on a thrilling journey through time and an alternate universe. 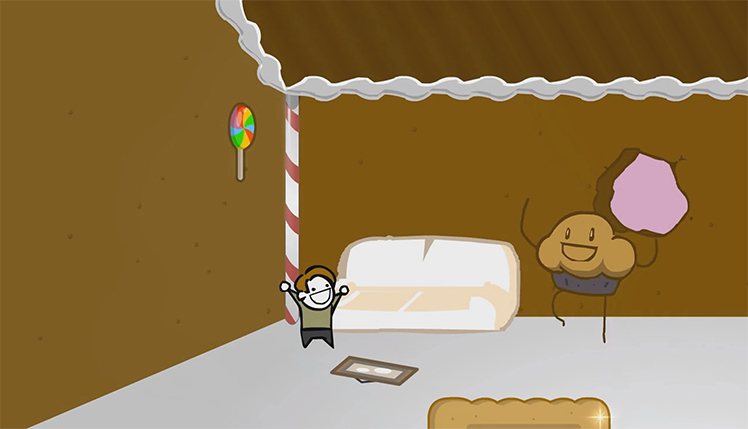 Fight monsters, solve boggling puzzles and eat cake for the win. © 2018, tinyBuild. tinyBuild logo, No Time to Explain, the No Time to Explain logo, are trademarks or registered trademarks of tinyBuild. in the United States of America and elsewhere. All rights reserved.